Ruffle skirt onesie has short sleeves and soft navy ribbing on neck and leg openings. 100% cotton. Available in Navy. Please select option for Ruffle Skirt Onesie-Navy. 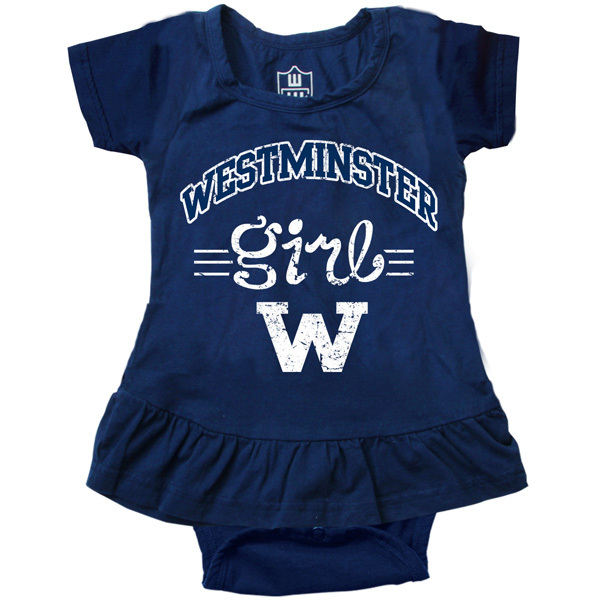 Westminster MVP Football bodysuit. 100% cotton. Please select option for Football MVP Bodysuit Onesie. Infant French Terry Pant has soft elasticized waistband with ribbed cuffs at ankle. 100% cotton. Available in Navy. 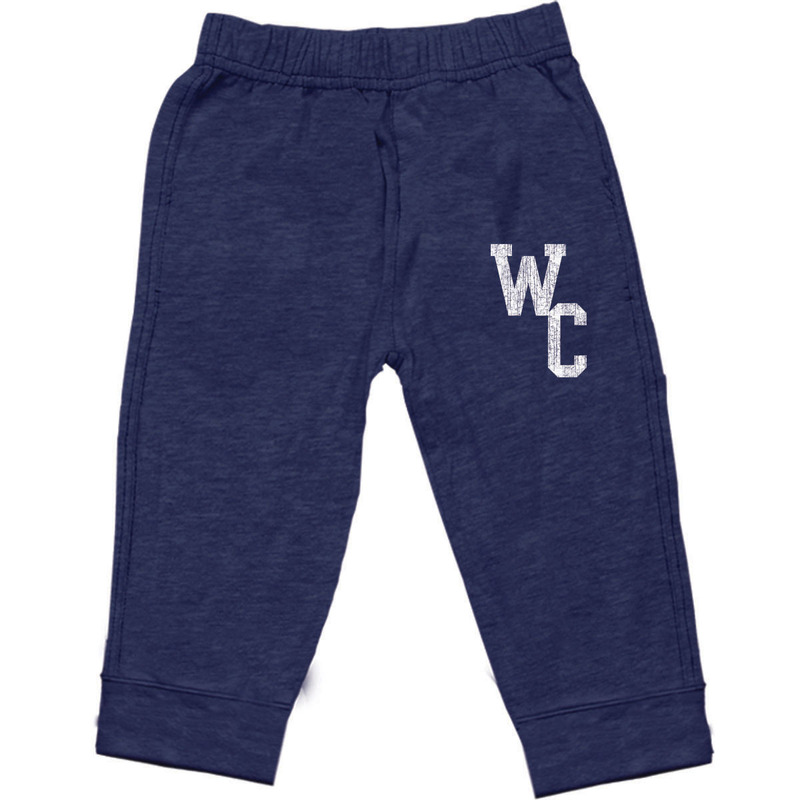 Please select option for Infant French Terry Pant-Navy. Washed cotton cap. 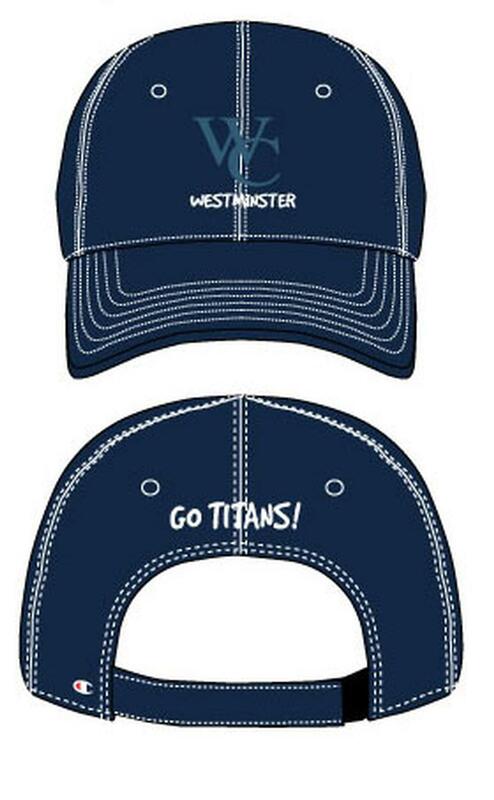 WC embroidered in blue above white Westminster lettering on front and Go Titans on back of cap. Adjustable velcro closure. Available in Navy.